Tashkent has hosted one of the world’s biggest events in cotton and textile industry – the 12th International Uzbek Cotton and Textile Fair. More than 2,000 foreign traders and representatives of procuring companies have confirmed their participation. This year’s fair was organized by O’zpahtasanoateksport holding company, O’zbekyengilsanoat joint-stock company, Ministry of Foreign Economic Relations, Investments and Trade of Uzbekistan, Commodity Exchange, Sifat Center and other organizations. The main IUCTF activities took place in the exhibition halls of Uzexpocentre. 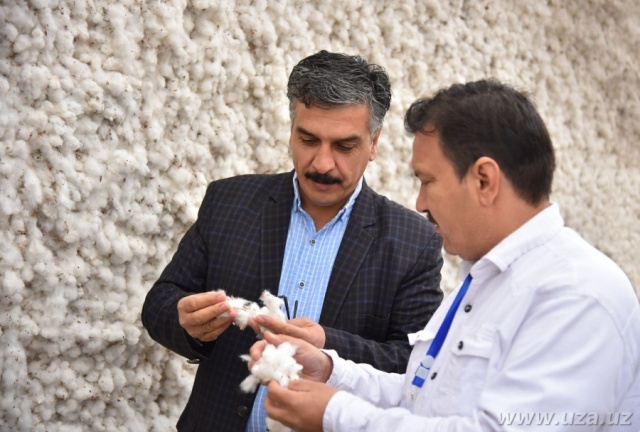 The leading representatives of the world cotton and textile market discussed the issues of cotton production in Uzbekistan and abroad, and the ways of expanding trade and investment cooperation. The conference has wrapped up with signing several agreements on the purchase of cotton and textiles. Initiated by the first president of Uzbekistan in 2005, over time the fair has evolved into an authoritative international forum in cotton and textile industry. 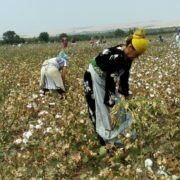 Year by year, IUCTF has been contributing to the development of new effective tools for exporting Uzbek cotton, which meet the long-term interests of the country and its international strategic partners, and building of a strong foundation for reliable and stable economic relations in the future. The dynamic growth of the number of participants is the best proof for that. The first fair was attended by representatives of 170 companies from 30 countries of the world, while this year the fair hosted more than 2,000 representatives from more than 45 countries. Uzbekistan is known in the global market not just as a manufacturer of high quality industrial cotton fiber, but also as its reliable supplier. 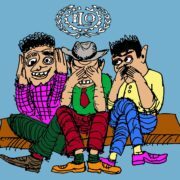 O’zpahtasanoateksport reported on ongoing measures in the industry on modernization of ginning companies and introduction of innovations in the production process. Special attention is paid to the establishment of an electronic reporting and quality control system throughout the entire process of cotton delivery, processing and storage to its selling. The measures have helped to quickly and dramatically increase the production capacity, and improve fiber quality. Development of enhanced processing of raw materials and increase of manufacture of products with high added value rank among the priority directions of ongoing reforms in the industry. This is the objective for channeling foreign investment, and construction of many modern enterprises. The volume of domestic processing has grown from 7% in 1991 to 55% in the first half of 2016. 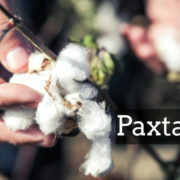 Since 1995, the industry has raised over $2 billion of foreign investment, implemented more than 200 projects with participation of investors from Germany, Switzerland, Italy, South Korea, Japan, Turkey, the USA, India and other countries, commissioned cutting-edge enterprises with full cycle of textile manufacture. It is worth noting that for the past 25 years light industry of Uzbekistan has grown into a leader in exporting products with high added value. The industry is represented by a large mix of export products, ranging from yarn to finished garments and knitwear. Light industry enterprises of Uzbekistan launched first exports in 1994. Those days, the volume of exports of textile and garment and knitwear production was only $7 million. Uzbek enterprises were actively increasing their presence in foreign markets, as proved by the growth of export indices, which exceeded $1 billion in 2015. The number of exporting companies has been growing rapidly too. In the first half of 2016, the share of high value added products in total exports has approached to 40%, and keeps growing steadily. China, Russia, Kazakhstan, Turkey, and some states of the European Union are major importers of Uzbek light industry products. In general, the Uzbek textile, sewing and knitting products are exported to more than 50 countries. In order to diversify foreign markets and expand the range of export products, manufacturers actively participate in international trade fairs in Germany, the Republic of Korea, China, Russia, Belarus, Latvia, Turkey and other countries. Despite good production and export progress, Uzbek light industry still has a space to grow. By 2020, Uzbekistan is planning to implement more than 70 projects on modernization, re-equipping and commissioning of new businesses, totaling more than $1 billion. The plans are secured by the Light and Textile Industry Development Program for 2015-2020. Its implementation promises to more than double the production and export capacity of textile industry of the country. The potential of the cotton and textile industry of Uzbekistan is immense. In the wake of last year’s fair, Uzbekistan signed contracts for selling 700,000 tons of cotton fiber and textile products for more than $800 million. 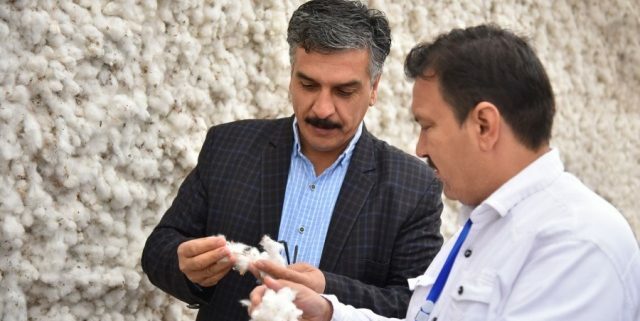 During the XII International Uzbek Cotton and Textile Fair, which took place on 12-13 October, contracts for the purchase of 550 thousand tons of Uzbek cotton fiber, the supply of uzbek textile products in the amount of 1 billion 322 million US dollars were signed, UzA reported. Productive talks were held during the forum and issues of preparation and sale of high-quality cotton fiber, expansion of cooperation in this direction, and other related industries were discussed, as well as mutually beneficial contracts were prepared. The representatives of business circles, experts and specialists from more than 40 countries, in particular from China, Russia, European Union, Japan, Bangladesh, the United Arab Emirates, the Republic of Korea, the Middle East countries, the Asia-Pacific region, Africa participated in the event. 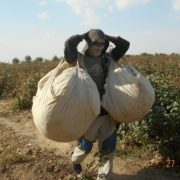 Long-term analysis of supply and demand on the world cotton market shows that Uzbekistan is one of the largest of its participants, the potential of which is increasing every year. In our country, the rate of production of cotton fiber is rapidly increasing, as well as also textile industry is actively developing. This major international forum is held at the most convenient time of the year – during active harvest and revitalization of trading on the cotton market. The world practice shows that the textile industry based on local raw materials is one of the most effective trends in entrepreneurship. Therefore, representatives of foreign business circles are interested in investing in the textile industry of Uzbekistan. For example, currently, in the system of “O’zbekyengilsanoat” JSC there are more than 400 enterprises, some 200 of them are joint ventures. Finished products under the brand “Made in Uzbekistan” are exported to more than fifty countries. 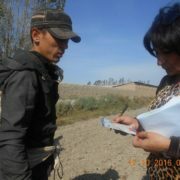 Of course, in this process, an important task is performed by the International Uzbek Cotton and Textile Fair.